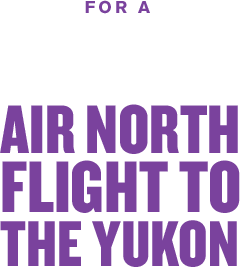 Since it only takes about 2 hours to fly from Vancouver to Whitehorse aboard Air North, Yukon’s Airline, we’re accepting trade offers for other 2-hour activities. 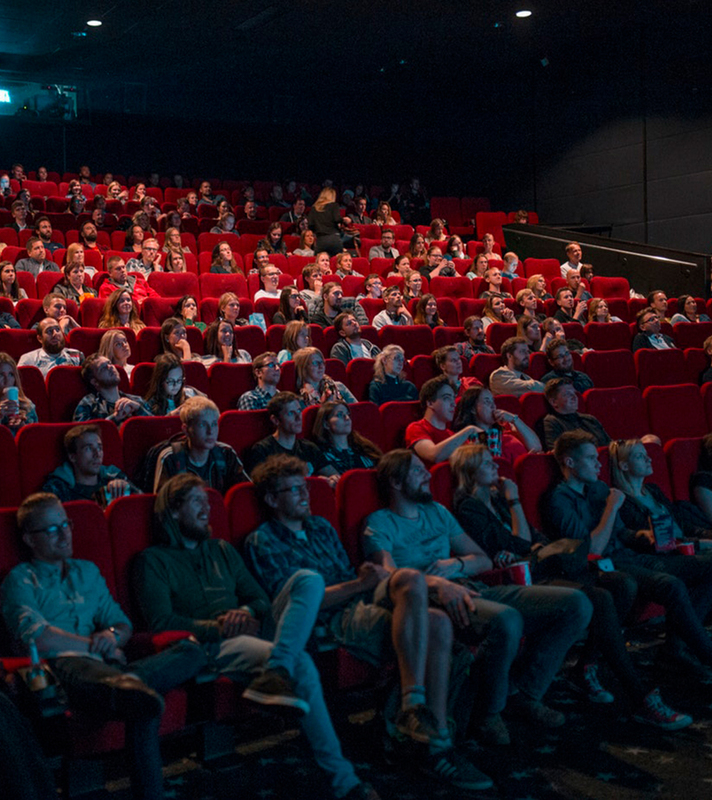 It can be a spa voucher for a Scandinave deep tissue massage in Whistler, a backstage VIP pass to meet Drake at his concert, or a This is Us cry-a-thon with your roommate—if it’s 2 hours, you can trade it. 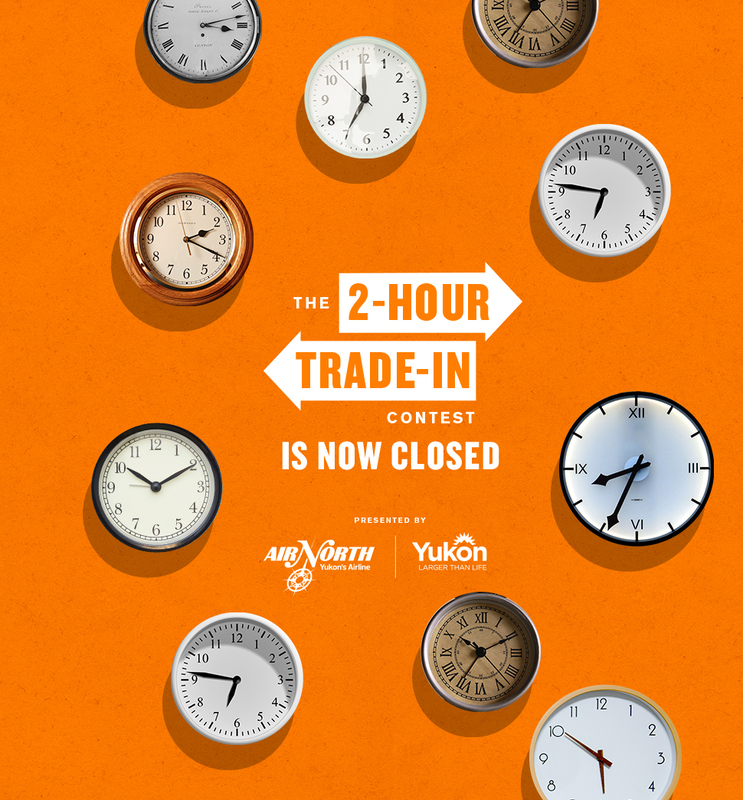 10 winners will be selected to trade their 2-hour activity for a pair of round-trip tickets from Vancouver to Whitehorse. 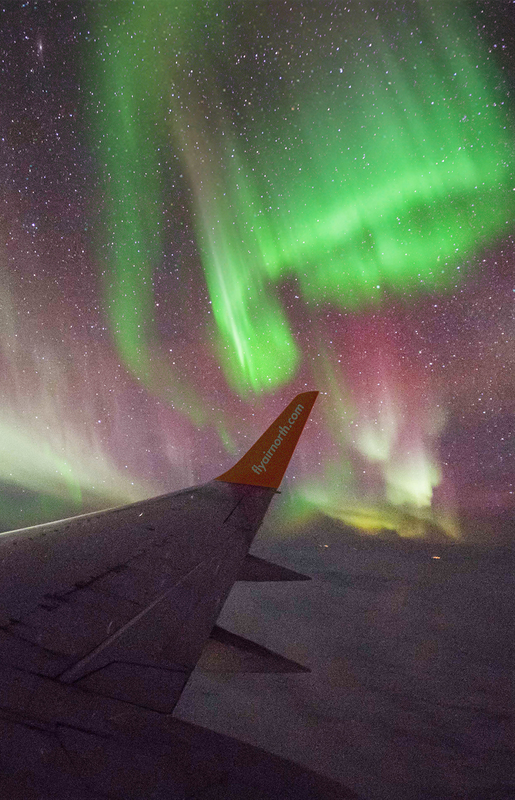 You’ll fly out on Friday, March 1, 2019, via Air North—Yukon’s Airline—and return Sunday, March 3, 2019. 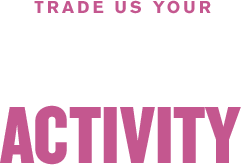 Only the winners will have to officially trade in their 2-hour activity. Contest ends Sunday, February 17th, 2019. SUBMIT A PHOTO OR VIDEO OF YOUR 2-HOUR OFFER. CAPTION IT WITH SOMETHING CREATIVE OR FUNNY. SHARE IT ON YOUR SOCIAL CHANNELS.